Dr Emma Roberts PhD, BA (Hons) is Course Leader and Lecturer in BA (Hons) History of Art at Liverpool John Moores University. 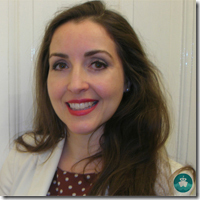 Having lectured on all aspects of History of Art and Design for twenty years, Emma is a highly experienced university lecturer who is also a frequent cruiser in her spare time. 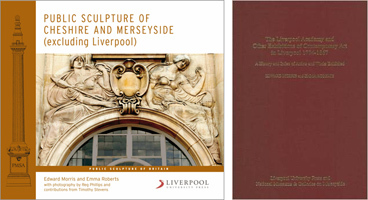 Emma is the author of two academic books (The Public Sculpture of Cheshire & Merseyside and The Liverpool Academy: A History and Index) as well as numerous journal articles and conference papers, and has also curated exhibitions. Emma has also appeared on Radio Four and on Channel Four television in her capacity as an expert on art and design and, for several years, was a Visiting Lecturer at the Victoria and Albert Museum, London. - 'New York- �An Embarrassment of Riches- Art Galleries and Museums of New York�. - 'The Isabella Stewart Gardner Museum and Boston Museum of Fine Arts�. - �Halifax and The Titanic'. - 'A Floating Hotel: The Glamorous Interiors of Cunard Liners in the Nineteenth Century'. - 'The Magic of Crossing the Atlantic: Passengers' Experiences on the Great Cunard Liners'. - 'Art at Sea: The Art Collection on Board Cunard's Queen Mary, 1936-67'. - 'Cunard Through Photographs: A Look Around Cunard Ships of Yesteryear Through Photographic Records'. - 'Cruisewear Collections: Fashion at Sea on Cunard Liners Through the Decades'. Azamara Journey - December 2013 from Singapore to Burma, South East Asia ending in Hong Kong. Azamara Quest- 22 December 2014 from Singapore to China, Philippines, Brunei and ending in Hong Kong. 'New Years in Hong Kong Voyage'. Azamara Journey - 23 December 2017 from Hong Kong to Vietnam and ending in Singapore. Celebrity Summit- 03 July 2016 New Jersey, USA to Bermuda round trip.